There’s no denying the Rich Forever team. 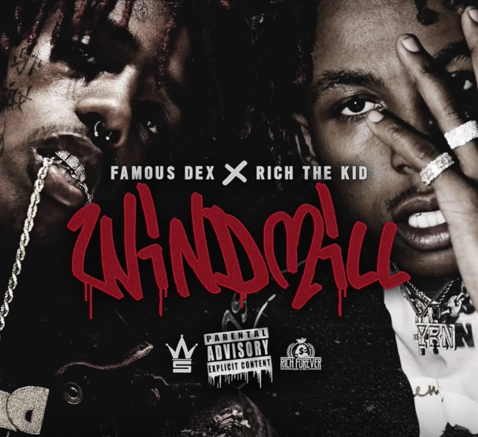 Today, the dynamic duo of Rich The Kid and Famous Dex unleashed a banger titled “Windmill,” and it may be one of their best collaborations to date. The new record see’s Dex and Rich trade off with high-energy verses on girls, Rolex’s and flipping their money like gymnastics. I don’t know about you, but I’ll have this one on repeat for days. Don’t waste any more time, press play on “Windmill” below and look out for the Dex/ Rich connection to drop more heat as the year goes on.